Out of the prestigious Missouri School of Journalism, the world's first journalism school, and from the bestselling authors ofNews Reporting and Writing, comesTelling the Story. 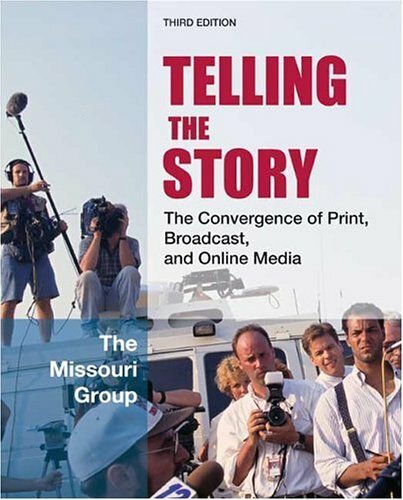 This concise text uses The Missouri Group's straightforward, no-nonsense approach to stress the fundamentals -- the beat-driven and well-written stories essential for any print, broadcast, and online news reporting and writing. The book stays on the cutting edge by preparing students for the realities of today's newsrooms -- offering the best coverage of online journalism, a new focus on citizen journalism, and even more on media convergence and new technology.